If you're like me, your fingernails are constantly left unpainted. Try as I might, I usually end up with chipped nails, paint outside of the nail bed, or an imprint of my bed sheets on the nail polish the next morning (the worst) after attempting an at-home manicure. My manicure always looks great after a visit to the nail salon, so why I am such a nail noob? What's funny is my toenail polish lasts for months (I know, when I paint them, we're in it for the long haul), but paint my fingernails one day, and they're chipped the next. Well, dear readers, it's time to put an end to being a novice at doing your nails. With all of the foolproof products out there, you're just one DIY manicure away from never having to immediately remove your nail polish in shame. Keep scrolling to shop our favorite products! First things first, if you do have any polish on your nails, it's time for the groan-worthy act of taking it all off. What a pain, right? Not so fast—these suggestively-named little mitts can be placed over each nail for fast removal while lavender and aloe go to work to soothe and hydrate. Cleaning up the surface of the nail provides a clean base for your manicure. Painting over dry, overgrown cuticles only makes them more apparent, so nip the problem in the bud with cuticle remover. 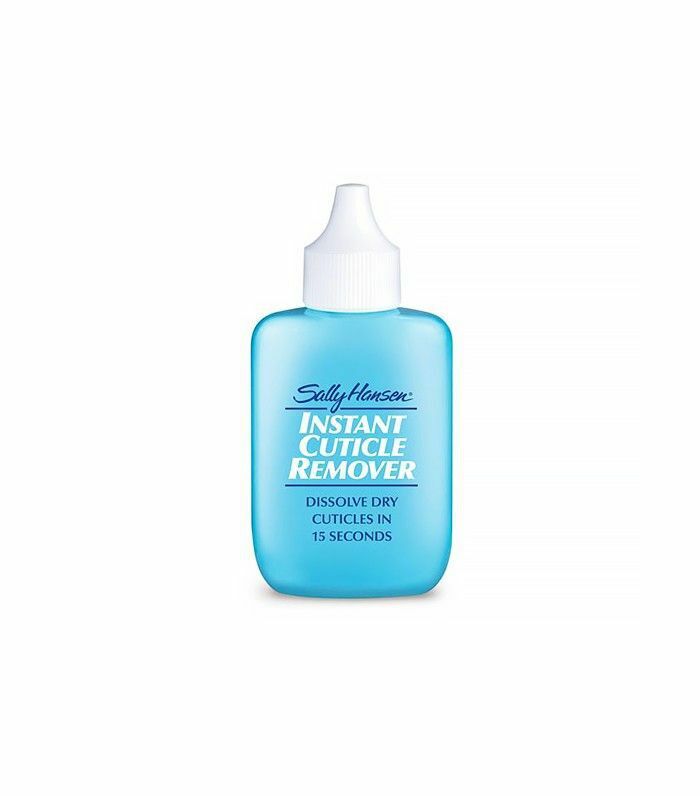 This liquid from Sally Hansen dissolves excess cuticles within 15 seconds, and afterward, you can wash them down the drain with warm, soapy water. It may seem like just an extra step, but using a base coat is a necessary component for a long-lasting manicure. 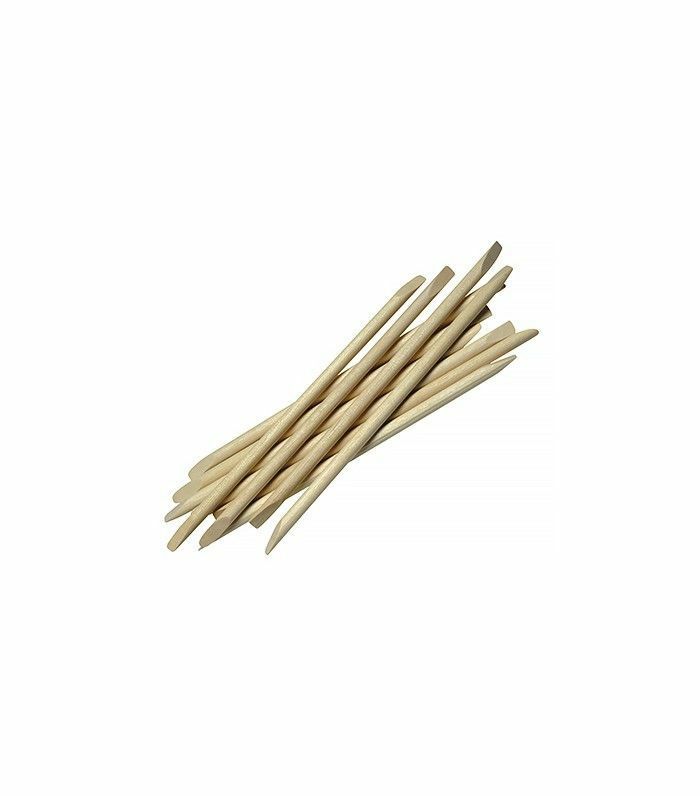 It utilizes double adhesion to stick to both the natural nail and the actual nail color so that it stays put longer while also protecting the natural nail from polish stains. You may have heard about using glue to get a perfectly clean manicure, but if you have any reservations about putting it on your skin then this may be the product for you. With hundreds of reviews on Amazon and an overall 4.5/5 star rating, we're intrigued by this easy peal-off skin guard that—brace yourself—sparkles when it's dry. If you'd rather not go the paint-and-peel method, paint your nails as usual (we're not here to judge if you can't stay in the lines), and clean up any excess paint by wrapping a manicure stick in a bit of cotton, dipping it in nail polish remover, and carefully wiping the paint off. You know when you have a bottle of nail polish that's nearing the end and you're trying to dip into it while painting your nails and just making a total mess? This stand will "grip and tip" your bottle for you so you can get every last drop without having to do a balancing act. Of all the top coats I've used, this is by far the best. Your nail polish lasts so much longer and has that shiny shellacked look that a gel manicure gives off. The best part is that you can take it right off with regular nail polish remover without having to endure the painstaking gel polish removal process. We're all busy girls on the go and don't have time to sit and literally watch paint dry, right? 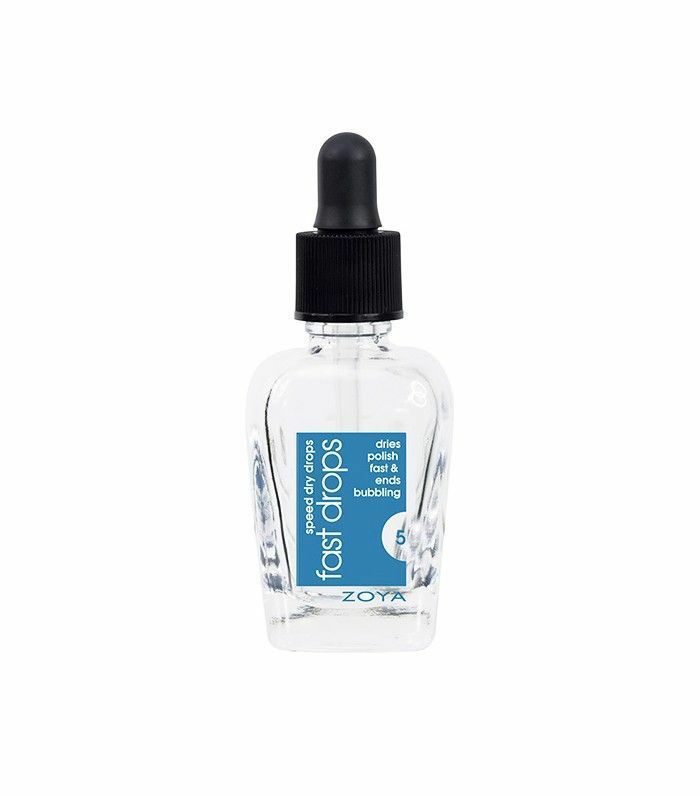 Wtih this magic product, you can paint your nails and move on with your day with just one small drop on each wet nail. Not into the oiliness of the drops? 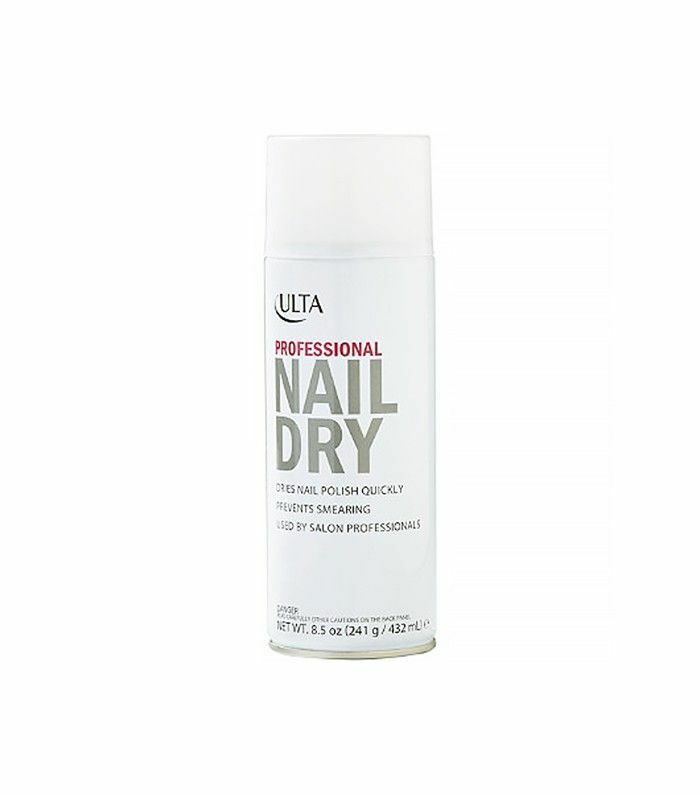 Try this quick-drying spray in-between coats and at the very end of your at-home manicure to set polish in a flash. It also has a sweet coconut smell, which isn't a bad perk if you ask us. Here's the thing—if you don't have the patience for polish and want to pretty-up your nails without having to put on several coats and keep it neat, try an adhesive nail wrap. This way, you can choose different colors, patterns, etc. ; place them on your nail; adhere (some brands suggest using a hairdryer); file off the excess; and go—without even opening a bottle of polish. What's your go-to nail polish color? Please share with us below!